Dergimizde, yurtdışından gelen makaleler için Türkçe Özet zorunluluğu olmadığı için, Türkçe "Öz"e yer verilmemiştir. Much anticipated privatization of the two remaining incumbent telecom operators in Bosnia will create a new dynamic and changing environment for all participants in this sector, especially for potential investors that are trying to find the right approach and a competitive market niche. The intention of this paper is to provide an overview of regulatory developments in the telecommunication sector over the past two decades, major challenges, accomplishments, and the role played by State Communication Regulatory Agency (CRA). The research includes the analyses of adopted Sector Policies, the Telecommunication Law itself, as well as the rules and major decisions issued by CRA. Through a countrywide survey and multinomial logit estimation of consumer's selection between the two largest mobile carriers, as well as in-depth interviews with the sector participants and CRA – we provided consumers' and participants' opinions of the sector development, achievements, challenging issues, and major stepping stones. Asserting its role as an independent regulatory authority and despite unprecedented political difficulties, the CRA has managed to complete the overall process of sector liberalization. It has done so mostly by utilizing an ex-ante form of regulation and proactively addressing critical areas for the sector development. But, market conditions are constantly changing and the demand for ex-post regulation will bring new challenges for regulatory authorities. The privatization of remaining incumbent carriers, making the maximum use of local-loop unbundling and open network provision, is only one of them. Also, securing the balanced infrastructure development and ensuring that the overall social welfare gains are equally distributed throughout the country will present new and evermore challenging questions for country telecommunication regulatory authorities. Amrstrong, M. (2006). "The Theory of Access Pricing and Interconnection", Handbook of telecommunications economics, Elsevier, Vol 1:297-384. Arthur, W.B. (1990). "Positive feedbacks in the economy", Scientific American February, 92-99. Arthur, W.B. (1996). "Increasing returns and the new world of business", Harvard Business Review, July- August, 100-109. Asvanund, A., Clay, K.; Krishnan, R., Smith, M.D. (2004). "An empirical analysis of network externalities in peer-to-peer music-sharing networks", Information Systems Research 15(2): 155-174. Barth, A.K. & Heimeshoff, U. (2014). "What is the magnitude of fixed–mobile call substitution? Empirical evidence from 16 European countries", Telecommunications Policy,38:771-782. Basaran, A., Cetinkaya, M. and Bagdadioglu, N. (2014). "Operator choice in the mobile telecommunications market: Evidence from Turkish urban population", Telecommunications Policy,38:1-13. Bauer, J. (2010). "Changing roles of the state in telecommunications", International Telecommunications Policy Review, 17(1): 1–36. Birke, D. & Swann, G.M.P. (2010). "Network effects, network structure and consumer interaction in mobile telecommunications in Europe and Asia", Journal of Economic Behavior and Organization, 76(2):153-167. Birke, D. (2009). "The economics of networks: A survey of the empirical literature", Journal of Economics Surveys, 23(4):762-793. Birke, D., Swann, G.M.P. (2006). "Network effects and the choice of mobile phone operator", Journal of Evolutionary Economics 16(1–2): 65–84. Blonski, M., (2002). "Network externalities and two-part tariffs in telecommunication markets", Information Economics and Policy, 14:95-109. Boylaud, O. & Nicoletti, G. (2001). "Regulation, market structure and performance in telecommunications", OECD Economic Studies, 32(1): 99–142. Brennan, T.J. (2009). "Network Effects in Infrastructure Regulation: Principles and Paradoxes", Review of Network Economics 8(4):279-301. Communication Regulatory Agency (2016), "B&H Telecommunication Indicators for 2016"
Economides, N. & White L.J., (1995). "Access and interconnection pricing: how efficient is the "efficient component pricing rule"? ", The Antitrust Bulletin, Fall Issue, 557-579. Economides, N. (1994). "A monopolist’s incentive to invite competitors to enter in telecommunications services", In G. Pogorel (ed. ), Global Telecommunications Strategies and Technologies Changes (pp. 227-239). Amsterdam: North-Holland. Economides, N. (1996). "The economics of networks", International Journal of Industrial Organization, 14(6):673-699. Economides, N. (2003). "Dial C for Competition", Stern business, 41-43. Economides, N. (2006). "Public Policy in Network Industries", NET Institute, Working Paper #06-01:1-55. Efendic, A., Pugh, G., Adnett, N. (2011). "Confidence in formal institutions and reliance on informal institutions in BiH: An empirical investigation using survey data", Economics of Transition 19(3): 521–540. Farrell, J. & Saloner, G. (1985). "Standardization, compatibility, and innovation", Rand Journal of Economics, 16(1):70–83. Farrell, J. & Saloner, G. (1986). "Installed base and compatibility – innovation, product preannouncements and predation", American Economic Review, 76(5): 940-955. Garrone, P. & Zaccagnino, M. (2015). "Seeking the links between competition and telecommunications investments", Telecommunications Policy 39: 388–405. Gasmi, F. & Virto, L.R. (2010). "The determinants and impact of telecommunications reforms in developing countries", Journal of Development Economics, 93: 275–286. Gaudin, G. & Saavedra, C. (2014). "Ex ante margin squeeze tests in the telecommunications industry: What is a reasonably efficient operator? ", Telecommunications Policy 38: 157–172. Goolsbee, A. & Klenow, P.J. (2002). "Evidence on learning and network externalities in the diffusion of home computers", Journal of Law and Economics, 45(2): 317-343. Grajek, M. (2010). "Estimating network effects and compatibility: Evidence from the Polish mobile market", Information Economics and Policy 22(2): 130–143. Gruber, H. & Verboven, F. (2001). "The evolution of markets under entry and standards regulation – the case of global mobile telecommunications", International Journal of Industrial Organization, 19(7): 1189-1212. Hodge, J. & Weeks, K. (2006). "The Economics of Telecommunications and its Regulation", IDRC CRD, pp. 82-98. Hrivnak, M. & Križanova, A. (2006). "Restructuring of network industries", Vadyba/Management, 3-4 (12-13): 32-35. Huang, C.I. (2010). "Intra-household effects on demand for telephone service: Empirical evidence", Quant Mark Econ, 11: 231-261. Huigen, J. & Cave, M. (2008). "Regulation and the promotion of investment in next generation networks-A European dilemma", Telecommunications Policy, 32(11): 713–721. Karacuka, M., Çatik, A. N. & Haucap, J. (2013). 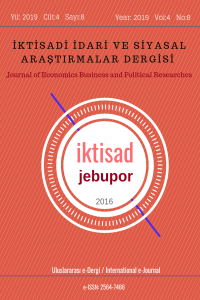 "Consumer choice and local network effects in mobile telecommunications in Turkey", Telecommunications Policy, 37: 334-344. Karacuka, M., Haucap, J., Heimeshoff, U. (2011). "Competition in Turkish mobile telecommunications markets: Price elasticities and network substitution", Telecommunications Policy 35(2): 202-210. Katz, M.L. & Shapiro, C. (1994). "Systems competition and network effects", Journal of Economic Perspectives 8(2): 93-115. Kim, H.S., Kwon, N. (2003). "The advantage of network size in acquiring new subscribers: a conditional logit analysis of the Korean mobile telephony market", Information Economics and Policy 15(1): 17-33. Long, S.J., Freese, J. (2006). Regression Models for Categorical Dependent Variables Using Stata, Second Edition, Texas: A State Press Publication. Neumann, K. & Vogelsang, I. (2013). "How to price the unbundled local loop in the transition from copper to fiber access networks? ", Telecommunications Policy, 37: 893–909. Parker, D. & Kirkpatrick, C. (2005). "Privatization in Developing Countries: A Review of the Evidence and the Policy", Journal of Development Studies, 41(4): 513-541. Rohlfs, J. (1974). "A theory of interdependent demand for communication service", Bell Laboratories, pp. 16-37. Sappington, D. (2006). "Price Regulation, Handbook of telecommunications economics", Elsevier, Vol. 1: 227-293. Shy, Oz, (2003). "The economics of network industries", Telecommunications Policy, 27: 741-743. Sobolewski, M. & Czajkowsi, M. (2012). "Network effects and preference heterogeneity in the case of mobile telecommunications markets", Telecommunications Policy, 36: 197-211. Srinuan P., Srinuan C., Bohlin E. (2012). "Fixed and mobile broadband substitution in Sweden", Telecommunications Policy 36 (3): 237-251. Srinuan, P., Bohlin, E., Madden, G. (2012a). "The determinants of mobile subscriber retention in Sweden", Applied Economics Letters 19 (5): 453-457. Strader T.J., Ramaswami S.N., Houle, P.A. (2007). "Perceived network externalities and communication technologies acceptance", European Journal of Information Systems 16: 54-65. Suarez, F. (2005). "Network effects revisited: the role of strong ties in technology selection", Academy of Management Journal 48(4): 710-720. Tardiff, T. & Taylor, W. E., (2003). "Aligning Price Regulation with Telecommunications Competition", Review of Network Economics, 2(4): 338-354. Vareda, J. (2010). "Access regulation under asymmetric information about the entrant's efficiency", Information Economics and Policy 22: 192–199. Weitzel, T., Beimborn, D., Konig, W. (2006). "A unified economic model of standard diffusion: The impact of standardization cost, network effects, and network topology", MIS Quarterly 30: 489-514. Yang, A., Lee, D., Hwang, J. & Shin, J. (2013). "The influence of regulations on the efficiency of telecommunications operators: A meta-frontier analysis", Telecommunications Policy, 37: 1071–1082. Zaimovic T., Avdic A. (2014), "Review of the selected empirical papers in network economy", Sarajevo Business and Economics Review, 33: 73-100.